Even with the possibility of a fresh batch of snow on the way, maple syrup season is right around the corner. And things might get sappy — in a good way. From April 26 to 28, the Quai Jacques-Cartier will transform into a giant platform that celebrates everything maple. 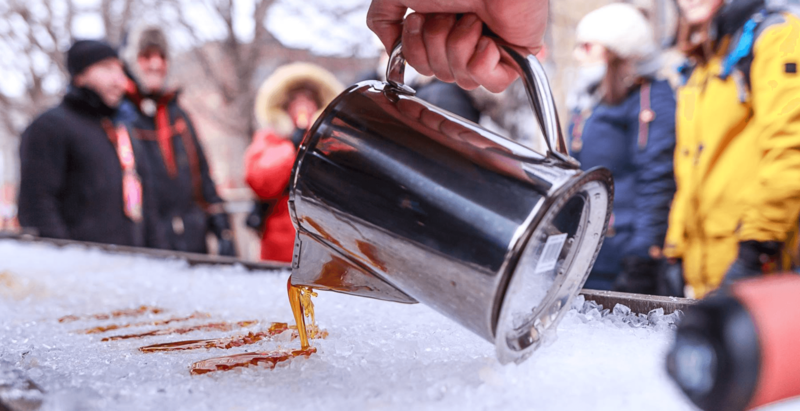 The third edition of the Festival Gueule D’érable will feature taffy tasting, live music, syrup-making workshops, food trucks, axe throwing, pop-up shops and beer (for the older crowd). Take a look below at the video from last year’s Festival Gueule D’érable. There ain’t no party like a sugar shack party.